Heat wave in New York. July 6, 1911. “Licking blocks of ice on a hot day.” 5×7 glass negative, George Grantham Bain Collection. New York can get blistering hot when a heat wave rolls through. I experienced a number of days like this when I was growing up there. And I’m old enough to remember the ice man with his truck, and an electric crusher on the back so he could deliver chips as well as the blocks. It was a great way to cool off on a hot summer day. 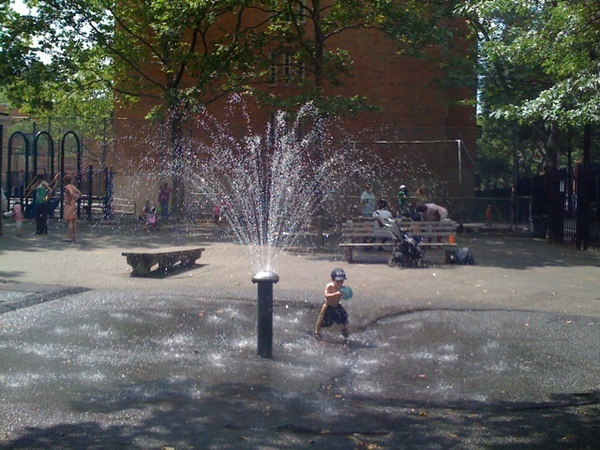 I’m glad there are still water attractions around to help kids stay cool in the summer heat. 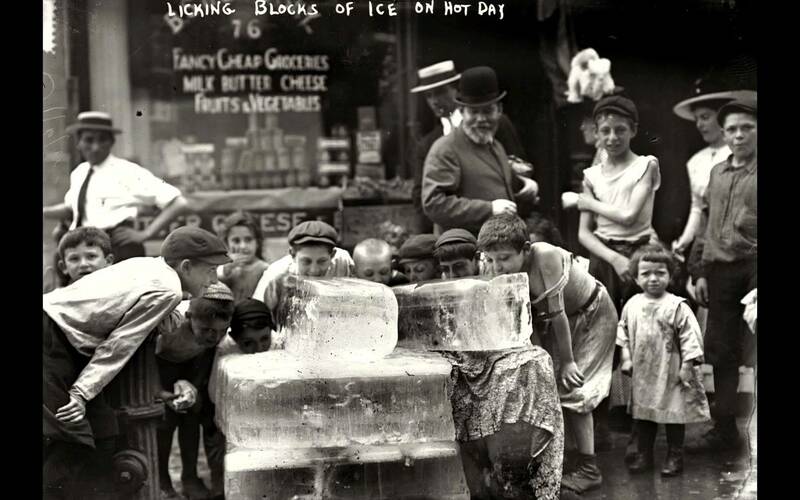 This entry was posted in History, Photos and tagged 1911, Hot Weather, Ice Man, New York City, Summer. Bookmark the permalink.